This weeks Toyark Discussion of the Week focuses on ideas and execution of those ideas. What toy line(s) over the years clearly were based on good ideas, but when they got to toy form, didn’t turn out so good? I know people can think of a ton of poor toy lines. But, of those poor lines, can you think of one or more that had some great ideas behind it? Or are bad toys just bad toys and nothing more? Designs & character availability killed the line that could have been huge. Indy's weird leg pose, to many old Indys, no perfect young one(horse came closest) Skull's figures kept us from getting figures from the better movies, to many versions of Indy at once. Jayce and the Wheeled Warriors. The vehicle toys weren't that bad for the time, problem is they didn't really put any effort into tying in with the supporting fiction, the human figures were generic space heroes rather than the characters from the show and the Monster Minds were nothing but vaguely faecal looking green lumps. 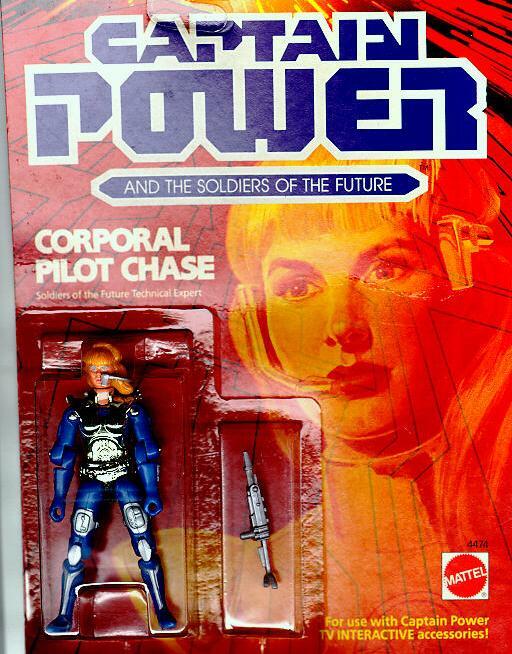 I know the show came after the toys, but Mattel could have tried harder, relaunched the line after the show had gone to air with better pilots, or figure packs of the show characters but they didn't, so that was that. I'd also like to vote for Transformer: Energon. With combiners, it's tempting to be a completionist to try and get all possible combinations, sadly the method they chose for the Energon combiners left a lot to be desired. The individual Autobot figures were basically either crippled, or had ridiculous proportions for a combination scheme that looked terrible and included no new parts, just vaguely moulded heel-hands. They were basically a step back from the Landcross bots, done over a decade later, leaving out the ability to make a super robot if you collect them all. They should have gone with the basic-deluxe combination scheme from the off, which they showed they could pull off at the right pricepoint without crippling the Transformations of either bot. It was a cool idea and some really interesting fiction. I remember the little book that came with one of the air powered vehicles. It talked about life on their dangerous world and some of the inhabitants there of. I also remember this big vehicle that had a red ball that was suppose to float over it on a cushion of air. I don't know if it ever came out. It was a toy line that I think could have been better distributed (I know I never could find any of it as a kid) and better advertised. I guess not eveything qulaified for the Cartoon budget. It seemed that a lot of effert and time was put into it but it just never took off in the U.S. Maybe it did elsewhere? Shame, it was a cool looking line. Kenner's Vortech line would be a good example. AN attempt to take what was great about M.A.S.K. and change up the story to suit a new generation. Except, In My opinion, they didn't understand what WAS great about M.A.S.K.. The Vortech vehicles were generic and unrecognizable as real world vehicles in disguise mode (which could be cool if they are of awesome design), Stupid & contrived looking in alternate mode. The transformations were lame and in some cases made no sense such as this example http://www.albertpenello.com/mask/vortech/road.jpg. The figures were a step forward from M.A.S.K. in attempt at detail but then a step backward in overall asthetic, They had strange proportions and were not absolutely inter-changeable between vehicles. But what really kills this line is the dumbed down action features. M.A.S.K. did such a great job of incorporating the firing projectiles into the designs, where Vortech (& most every other toy out there) action features seemed like an after thought. 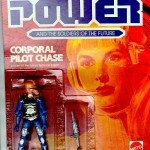 In defense of Captain Power, that was a good toy line but a bad idea. The figures were beautiful, my kids still play with the power jet, and I spent hours shooting at the tv screen. Even the commercials were genius, and the TV show was by J. Michael Straczynski. But Ralph Nader didn't like it, parents protested and that was the end of what could have been a major toyline. Darn it all. DCIH - Joe Scale DC Heroes. Epic idea, lacking in articulation and sculpts and accessories. What's the point in having a sinestro or lantern without lantern batteries? Kamen Rider Motion Revive Series - Epic Idea, hindered by nothing in line, only in the fact it ended before they made Decade, or the rest of the blade or faiz riders, let alone kuuga and agito or ryuki. It also would have been nice to have other toku heroes, like Kikaider, Hakaider, the White Armored guy in my sig, among many others bandai has the rights to like garo. So the other drawback here is lack of diversity outside of just monster hunter, xenosaga, and Kamen rider. Epic line that fails only in the fact they haven't made that many, and can't seem to do females right. Kamen Rider Dragon Knight - Epic Idea, hindered by little to no articulation. Even includes power up animals, but the low articulation makes it questionable to buy, especially after being spoiled by MRS.
Power Rangers Any - The Zords, while yes neat in their own right. Lack of any real articulation in this day and age is such a let down. What's the point in having a Jungle Fury Mechs that can't pose kung fu, or any of the other numerous DX's that can't even do show like poses. Thankfully this can be remedied by the candy kits from japan. Even making the badguys in scale to them finally decently. The microzords also suffer from this, at their scale they'd be perfect for badguy fight posing yet they have zero to little articulation. Just tiny bricks that combine. I want a fully articulate DragonCaeser already! Ever finding a mele figure was also impossible. Ben 10 - Great line with their Joe sized figures, only lacking in how they are packed. They come literally 1 per case making it a pain to ever find any of the latest ones ever. Mattel MOTUC - The only draw back here, is lack of any in stock, let alone not at mass retail. Transformers Armada - Some amazing designs, hindered by brick like toys, and little to no working unhindered articulation. Oh what I wouldn't give for a Poseable Blur from this line. At least bendy prime's head has come in handy. Especially noticeable after the Best lines and RID. It was like a massive step backwards. Toybiz X-men/X-Force lines - Great idea for this booming 90s property with one major drawback... Why does every figure need an action feature instead of just being super poseable? The features hindered play value. Inhumanoids - Great idea, great execution, only one drawback, Joe Scale figures would have worked better in scope to the monsters. As it was, the figures were the size of the monsters legs, as opposed to just being near foot size. That made the play value awkward. Even with removable helmets, the size just couldn't justify the few features they had, and lack of articulation. They would do well for a revival though with the Joe Space Brigade like Cyber Joe. A joe line of figures that were in astronaut suits with removable helmets. Oh how I miss those. Centurions - Great idea, awesome execution, only two drawbacks. Never could find them on shelves, and again Joe Scale would have helped reach a happy medium in play value across the lines. SilverHawks - The non durable plastic they used lead to a multitude of breakage, and paint rubbing off. Still an amazing line, and would be vastly improved in joe scale with more articulation even at the loss of the great wing stretching action feature that made sense and enhanced play value. Even so, for the plastic grade faults, this line was one of the few to do action features right. 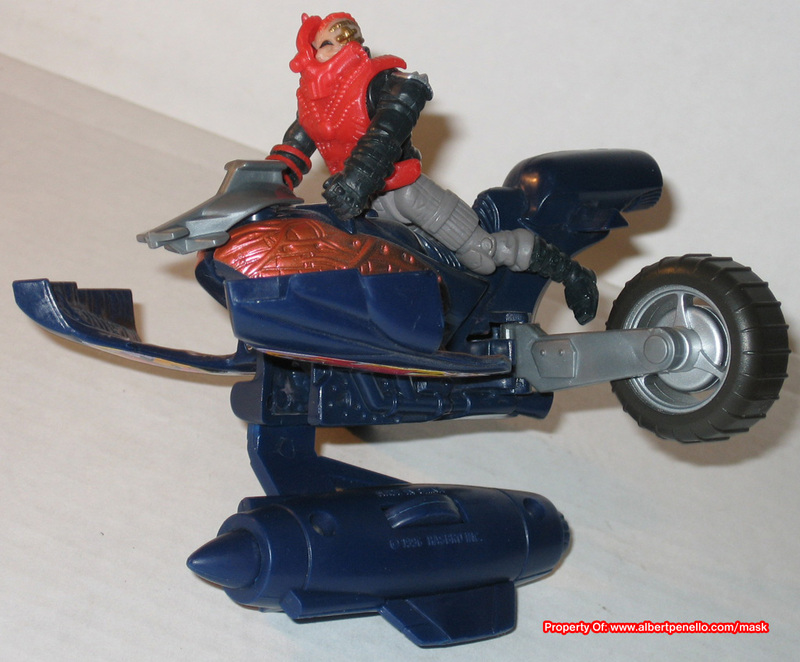 Storm Hawks - The lack of bikes that actually transform without being parts formers, kept me from even touching this line. And I would have eaten those bikes up if done right. Especially the violin playing bad guy one. Godzilla - Lack of articulation for movie like poses. Otherwise great sculpts, great execution, but I'll stick to my 90s movie American G-zilla, and the classic one I got from a flea market who's in scale to him. Final Wars FTW! Will reconsider if they do a line with articulation at near inhumanoid sizes at a rate of one every few months. Rom the Space Knight - Awesome Idea, epicly executed in the marvel comics. The toy though that inspired it all? WHY! WHY! WHY! The toy itself was useless. Another figure that'd do well for a revival with modern articulation, detail, and even real play value. That's all I can think of for now off the top of my head. I say...'Sky Commanders'... 'cuz mine all ended up in big knots of string that you couldn't untangle. Ronin Warriors(the line made by Takara and brought over by Playmates in the mid 90's, *NOT to be confused with the awesome upcoming Armor Plus figures by Tamashii*)-The spring loaded gimmicks didn't really add much play value to these figures, it made the figures bulky and hindered articulation badly. The sculpts weren't that accurate, sometimes the weapons weren't either. Overall these figures didn't have much play value aside from removable armor. To be honest the main reason these were popular were because of the show, and the fact that up until now, were the ONLY figures based on that anime. Mattel Comic Batman line-This line had much promise, being sculpted by the 4H around the same time they were releasing the fan-favorite 2002 MOTU line. A lack of full articulation(a weird mix of swivel wrists, t crotch, pin knees, neck swivel, and ball shoulders), a wide variety of Batman figures that weren't that well received, and the 1st fully articulated Batman only available overseas and was only released at the end of the line. The line ended up dying at retail, with some of the figures repainted for the DCSH line not too long afterwards. DCSH was somewhat disappointing too but all has been rectified with the DCUC line; except for the constant horrible distribution woes that have plagued Mattel since the 2002 MOTU line. Toynami Macross 1/100 VF-1-The articulation on these figures is great, it's fun to pose in battroid mode, and you do get a lot of parts for the price, however it requires too many parts to swap for the sake of using the display stand in any mode, and the build quality could have been much better. I have many cracked joints and you can definitely tell that the figures could have been much more durable. Some of the modes are not very stable as they rely on joint tension to stay in position, yet some of the joints are prone to looseness. For example the my wave 1 VF-1A Max Custom will not stay in gerwalk mode on the stand because the swing bars are far too loose. It had much potential, it is a very affordable line but other than that it's a case of lost potential. Hasbro Marvel Legends-The durability and quality control was much better in this line than in Toy Biz, however the loss of more intricate detail in the sculpts, less paint apps, and most importantly a noticeable and significant lack of points of articulation) effectively killed the line in the eyes of many fans. It's to the point now where we only get 2 packs and exclusives at that. Some of the figures were great, some even superior to previous Toy Biz versions but only some and they are not the majority. When Hasbro got the Marvel license, we thought that we would be getting the same level of detail and articulation as with the Toy Biz releases, but with much better durability control. Well we only got the latter. It is starting to look up as the recent releases in the 2 packs are good, and more and more newer figures have had more articulation in addition to good silhouettes, however the line has yet to reach the greatness as it did under Toy Biz's hands. DC Infinite Heroes-A severe lack of articulation compared to comparable and rival lines in the same scale effectively killed off interest for many fans in this line. Some fans just see this as a line of cheap DC figures and leave it at that. More strides towards higher articulation have been made, starting with the Best Buy exclusive Green Lantern packed with the First Flight DVD, and in a few days with the Target exclusive Public Enemies multipacks. Yet the figures remain smaller than they should in the eyes of collectors and ultimately could have been much better. Playmates Star Trek and Terminator(2009)-I bring both of these lines up because A/they aren't selling, B/both are disappointing, and C/they are made from the same company and based on recent summer flicks. Playmates had very popular Star Trek figures back in the 90's and it is clear that the movie line can't reclaim the glory of those days. The Terminator line lead collectors to believe that we could have Terminators in the venerable 3-3/4" scale, unfortunately what we got were vehicles that were far too small, and figures that were simply not up to par. The simplified sculpts, lack of more articulation, even with figures in bigger scales, lead collectors to conclude that Playmates is still stuck in the past, and I have to agree. These figures might have been great 10 years ago, but now? No. Transformers Armada-Micromasters were popular, RID and Beast Wars brought continued the full articulation started in the tail end of G2 and Armada featured not only new mini Transformers but a revitalized Prime and Megatron for the new generation. Recipe for success right? WRONG! While the minicons were cool, this line all across the board was a step down from the full articulation we had enjoyed for years. In fact, I, and many collectors didn't mind the designs at all, I actually liked the uncombined Armada Prime design from the show, but the toy? Not so much. Megatron's cartoon design? AWESOME. The toy? No. He can't even move his hips! Hell even Hot Shot couldn't move his shoulders forward. Was the addition of minicon gimmick integration worth the cost of losing vital points of articulation? Not in my eyes. The line sold well to kids which is always good but for TF fans, aside from Unicron there isn't much collector's appeal in this line. To this day I'd love to see a leader class Armada Prime and ultra class Armada Megatron redone in a way that we collectors would love; fully articulation with more detailed sculpt. I have no doubt that Hasbro designer Aaron Archer and co could pull this off, but whether the corporate guys will let them is another story. Transformers Energon-More combining figures yet this line featured some figures that still lacked full articulation. The gestalts were disappointing(aside from the Combaticons), and honestly I don't think anyone liked getting 2 of each limb to complete their gestalts. Even so, the team members were better separate than combined, which typically doesn't happen. Prime seemed like an incomplete design and his base body suffered just for the sake of combining. Transformers Universe/Classics 2.0 Galvatron-The figure is more complicated than it should be and is disappointingly small compared to other figures in the line. All this is due to the fact that the original design was for a triple changer ultra size class figure. This is a figure of lost potential and a somber sign of what could have been. X-Men Origins Wolverine-Sure we got a line of figures revolving around Wolverine, that WASN'T a line where his presence wouldn't be welcome(like those times he invaded other Marvel lines). Full articulation, the venerable 3-3/4" scale, and complementing Marvel Universe in a way right? No. The plastic feels cheaper(though durable), and looks cheaper than that used on the Marvel Universe figures. The figures seem overpriced and ultimately could have been much better. I think it was a great idea to offer both movie and comic based figures, something that this line shares with Star Wars and something G.I. Joe fans all wanted for the Rise of Cobra line(which is all movie figures with very little comic/animation designs). I agree on everything said about Indiana Jones and MotU 200X. I think CO's Classic Doctor Who series falls into a similar category: the 1st, 2nd and 3rd Doctors are all exclusives. Wow, I'm surprised nobody mentioned Xevoz yet. This has to be one of the best toylines ever. So much possibilities. Anyone who doesn't know about Xevoz should check out this fan website ( Figure Realm- Xevoz ). These figures were awesome. In one toyline you'd get pirate skeletons, sci-fi space marines, steampunk cowboys, animal warriors and much, much more. This line really pushed the ball and socket joint concept. Everything was interchangeable. Many customizers these days still use Xevoz joints for articulation in their works. So what went wrong? There was a SEVERE lack of support for the line from Hasbro. It was only meant as a filler line while they concentrated on TFs, Joes and Star Wars. Hasbro did try, but they never invested in Xevoz as much as they did and still do in their 'main' lines. Xevoz lived long enough for 4 waves of toys to come out before it was discontinued and toys massively clearanced in stores. In short, Xevoz was an excellent idea that was indeed badly excuted. I consider myself lucky to have been able to collect and play with figures from that line. That and overpriced due to the gaming element. The figures themselves were AWESOME and I regret missing out on the last waves. I LOVE XEVOZ! Definitely fun figures to play with and collect. Playmates TMNT 2003 relaunch-Even as the years progressed, and more articulation was added, it still wasn't enough compared to figures by other companies. No doubt TMNT fans wanted new figures, but the Playmates didn't suffice. Case in point? The NECA figures, which basically gave Turtle fans what they wanted, albeit limited to comics only and at that, sporadic/limited releases. i definitely agree with the failure of the star trek movie line but mainly in the enterprise toy when you compare it to ship replicas from art asylum and diamond select there's no comparison its so lacking in detail its a real shame and a waste of a great design...and even playmates ships from their past star trek series had more detail but I gotta say at this point the only ships I plan on collecting will be the diamond select releases, yes they may be a little more in price but for the detail and accuracy they are worth every penny. My only gripe is that they take so long in their releases but again in the end their worth the wait! Full Thread: Good Idea Bad Execution?